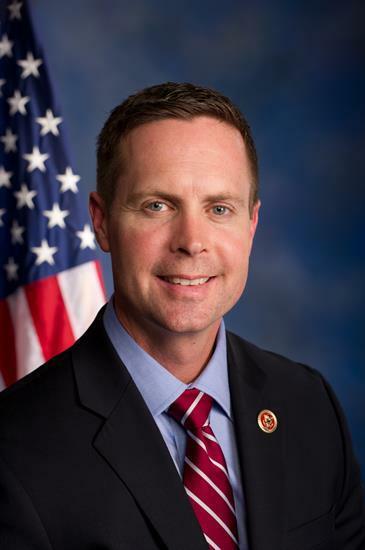 EDWARDSVILLE, Ill. (Legal Newsline) - U.S. Rep. Rodney Davis, R-Illinois, continues to outraise former Madison County judge Ann Callis so far in the 2014 election cycle, boasting a war chest double in size to that of his Democratic opponent's. Callis stepped down from a 19-year career on the bench last year to make a bid for the 13th Congressional District. In the March primary, she easily defeated challengers George Gollin and David Green, allowing her to go on to face Davis in the November general election. But by the end of March, Davis had doubled his financial lead over Callis, raking in $2,059,954 in campaign contributions as opposed to Callis' total of $1,016,384, according to reports filed with the Federal Election Commission. Three months later, Davis continues his strong lead, raising nearly $555,000 more in campaign contributions and once again nearly doubling the contributions of Callis, who raised a little more than $335,000 in that time span. As of June 30, Davis in total has raised more than $2.6 million, spent $1.3 million and has more than $1.3 million cash on hand, campaign finance reports show. Conversely, Callis has raised $1.3 million, spent more than $634,000 and has more than $717,000 remaining her war chest. PAC funding has been a staple for Davis' campaign, as 59 percent of total donations received have come from PACs, accounting for $1,551,196 in contributions, according to opensecrets.org. Callis, on the other hand, continues to receive support from the Simmons Law Firm of Alton, Ill. - a law firm specializing in asbestos litigation. As of March 31, the Simmons firm had donated $23,700 to Callis. That total had jumped to $35,850 by the end of June, campaign finance reports show. -Cooney & Conway of Chicago - $7,200. Emily's List, a PAC that supports pro-choice candidates, continues to be one of Callis' top funders, accounting for $39,000 in donations, according to opensecrets. -Communications Workers of America - $7,000.